Restore your jewellery to its former glory! All jewellery inevitably takes knocks and bumps as it is worn throughout the day and night. However, don't go closing your jewellery box lid on your damaged items - at Pickwick Jewellers and Pawnbrokers we offer a complete repair service to restore your jewellery to its' former glory! Our specialist repair service is fast, reliable and amazing value and offers you satisfaction that your goods will be returned to you repaired to the highest standards. Get that sparkle and shine back! Do you look at your jewellery and find it looks old and tired? Well it most probably needs a professional polish and brush up! 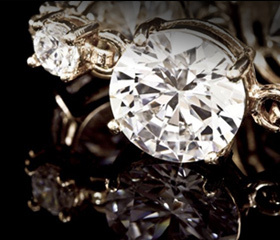 At Pickwick Jewellers and Pawnbrokers you can have your precious items of jewellery thoroughly cleaned and polished by the latest ultrasonic cleaning machines, coupled with our highly trained staffs' good old fashioned handcraft cleaning techniques. We treat your goods with loving care and attention and return them looking like new! Come in and try us - you will be delighted with the repair and cleaning service we offer! !